Today I thought I’d try something new to switch it up. Using the fabulous easel.ly website I made today’s post into an infographic with some quick tips! Not bad for a first attempt, huh? 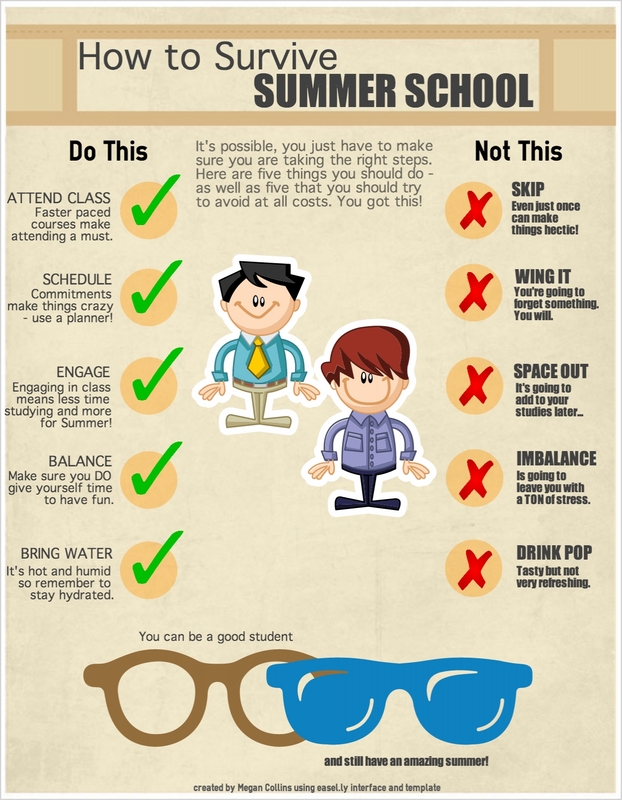 What are your top tips for surviving summer school? Comment below!